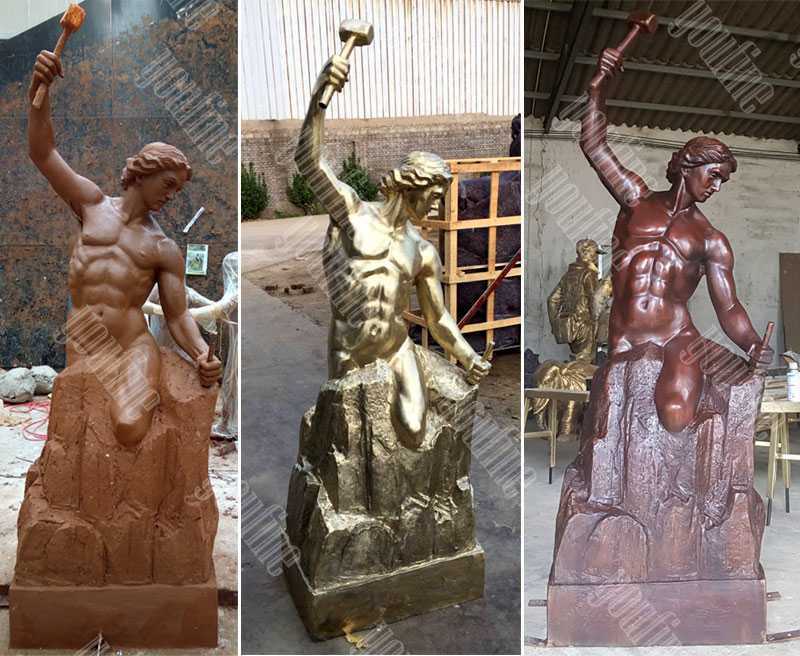 Any size of Bronze self made man statue is acceptable ! 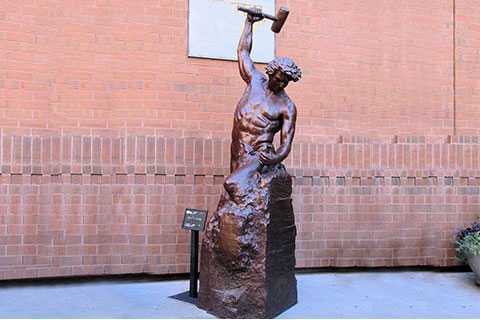 Bronze sculpture Bronze self made man statue by sculptor Bobbie Carlyle of a muscular dude chipping himself out of a block of stone with a hammer and chisel. 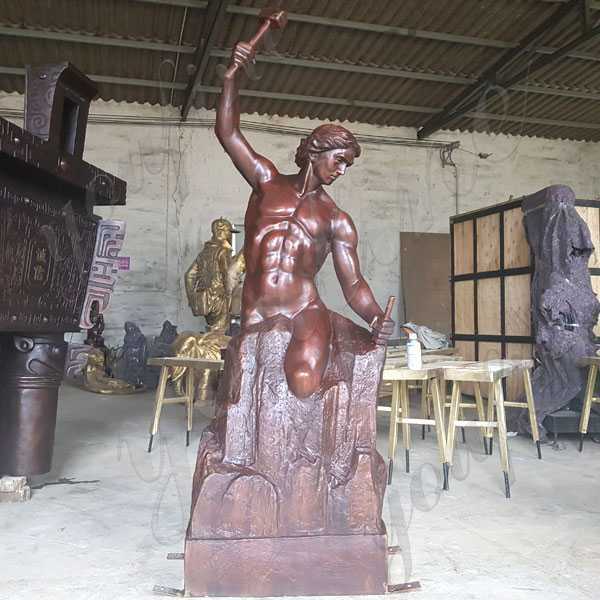 The height of the following bronze self made man statue is 183 cm or about 6 feet. 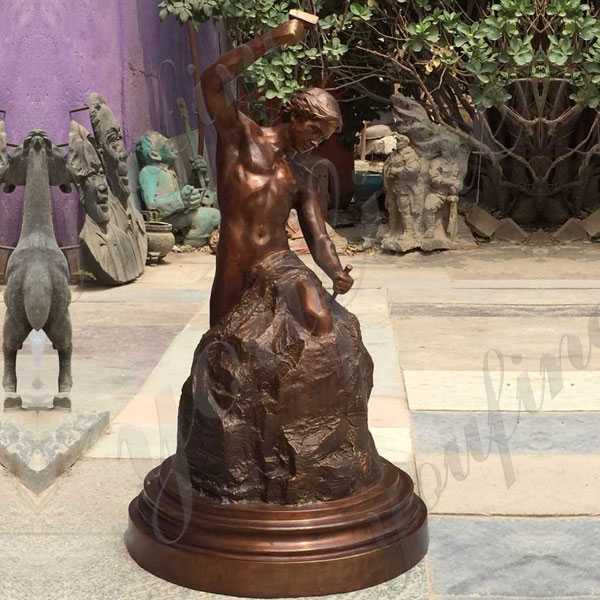 Different angle of bronze self made man statue ! 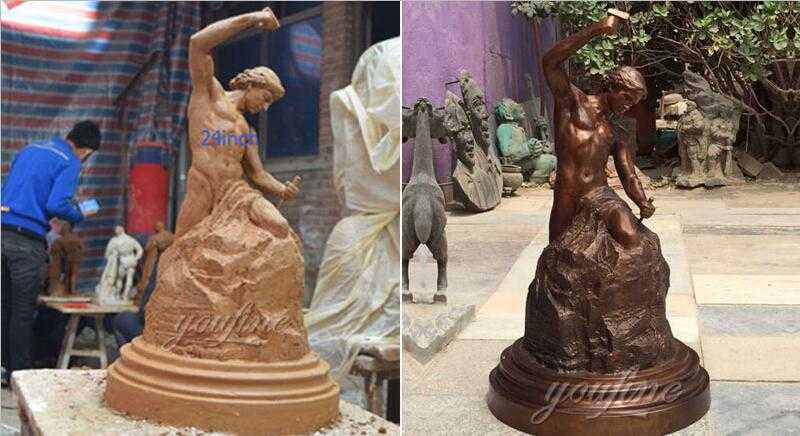 The three process of making a bronze self made man statue: Clay mold to bronze casting to panita ! 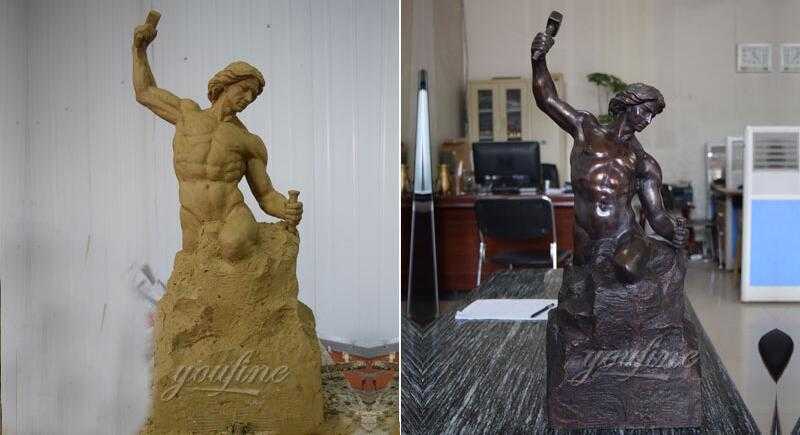 The Bronze self made man statue was made from solid and the finest bronze available. 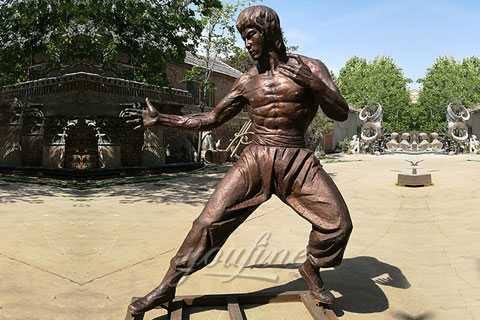 It was manufactured in You Fine by our finest bronze experts. 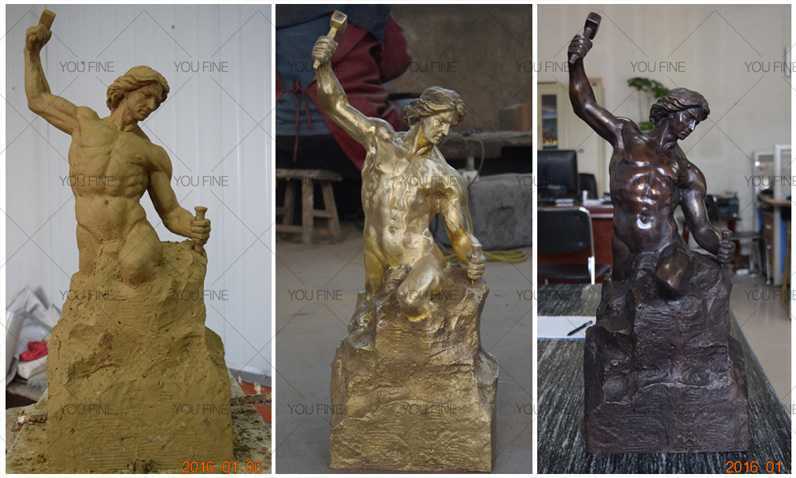 All of our bronze statues were made by these talented artisans. 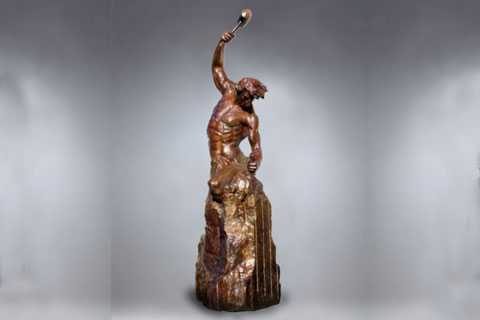 The magnificent detail in this statue shows the true artist at work. 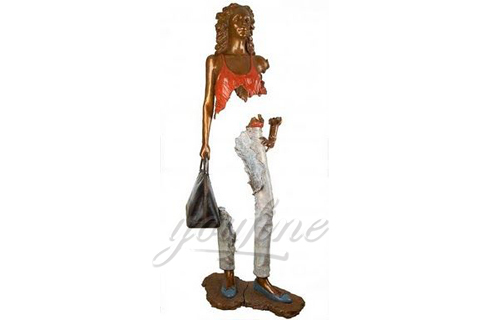 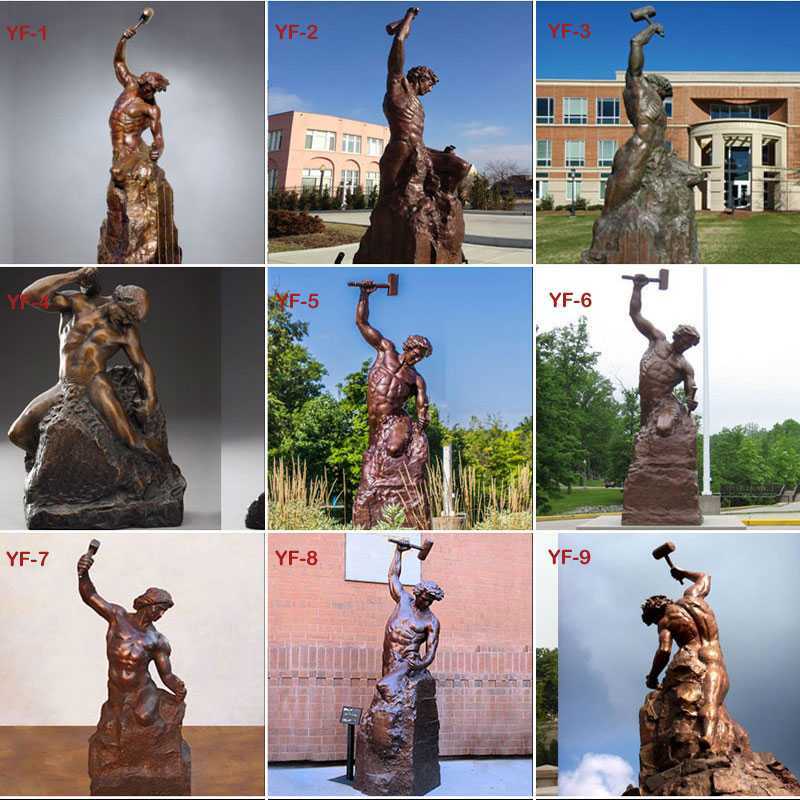 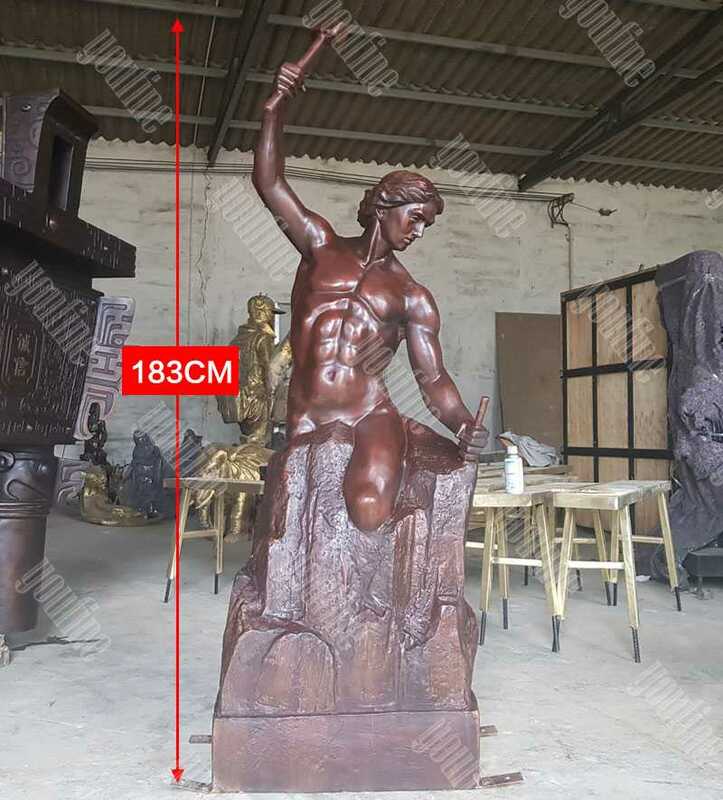 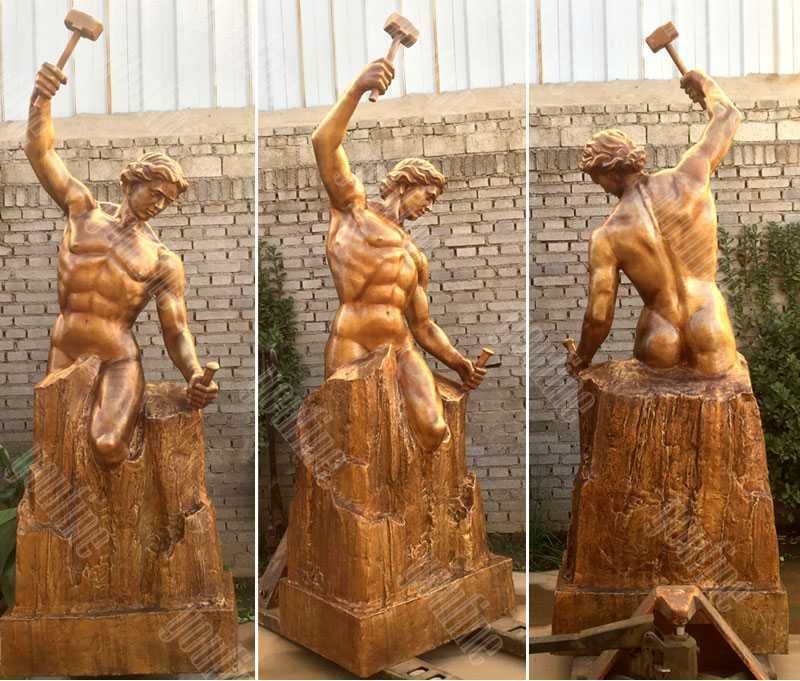 So any size of Bronze self made man statue is acceptable,if you have any question or requirement,please contact with us right now,focusing on bronze carving about 30 years!